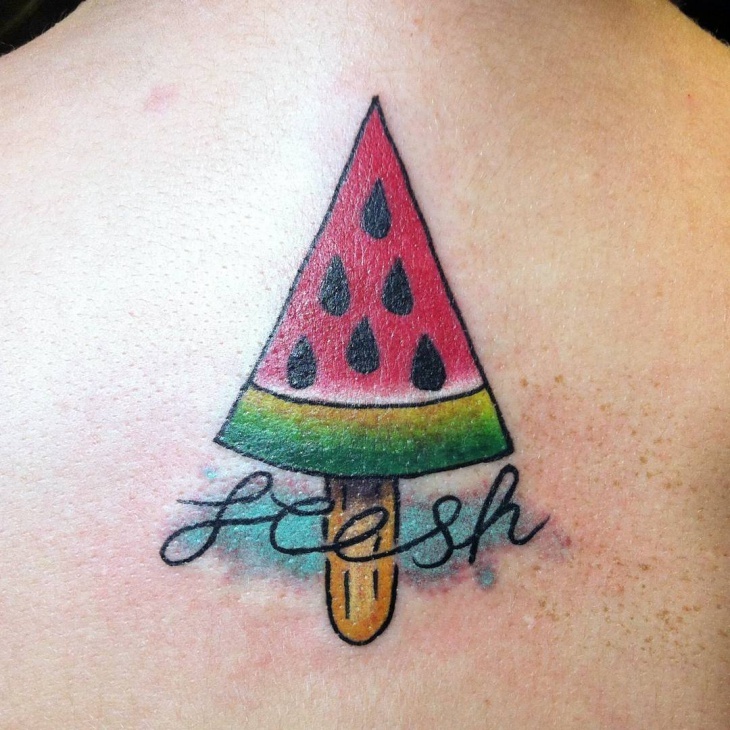 Thanks to celebrities such as Miley Cyrus, a watermelon tattoo has become one of the best fruit ink designs. This fruit not only has many health benefits, but it’s also the perfect fruit to eat during summer. 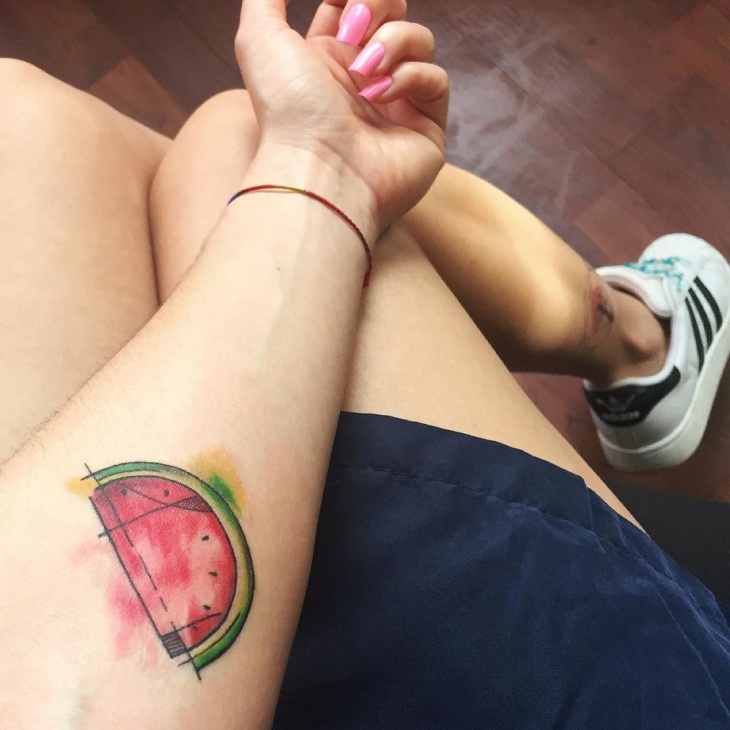 Apart from a watermelon tattoo, individuals who love fruits because of their health benefits can use the health angle to get the trendy Watermelon tattoo. 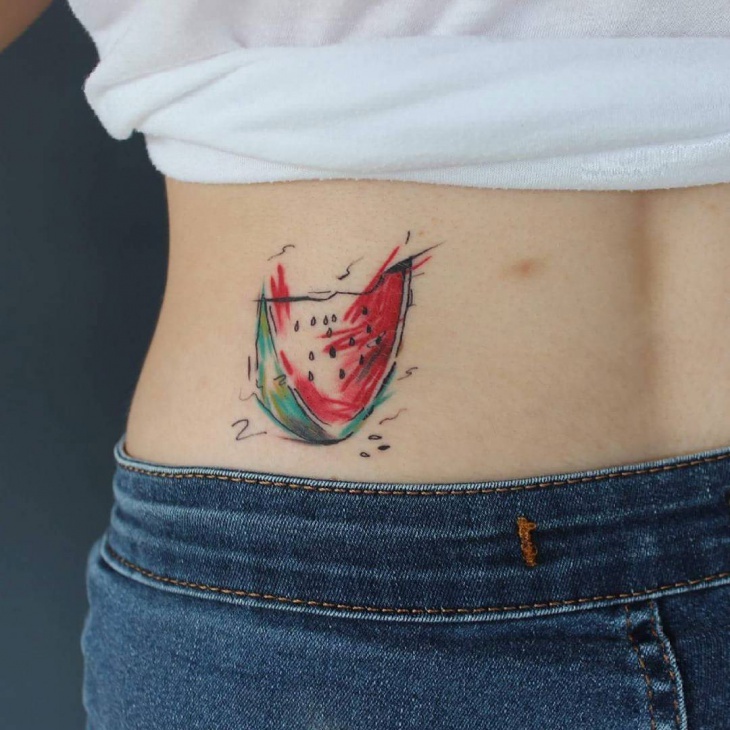 So, whether you eat melons or not, there is definitely a watermelon tattoo design that you can appreciate. 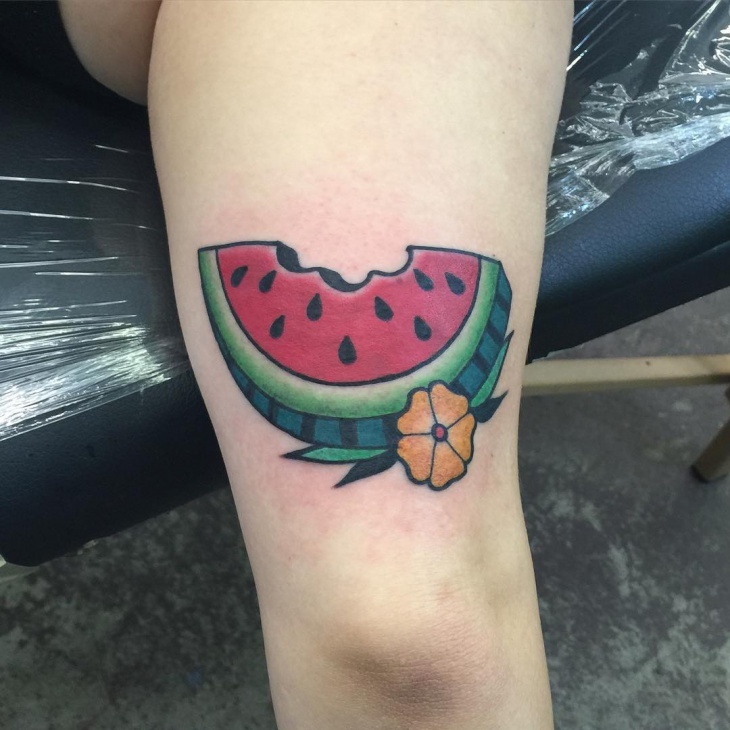 The beautiful contrasting green and red color in a watermelon helps portray a fun individual. 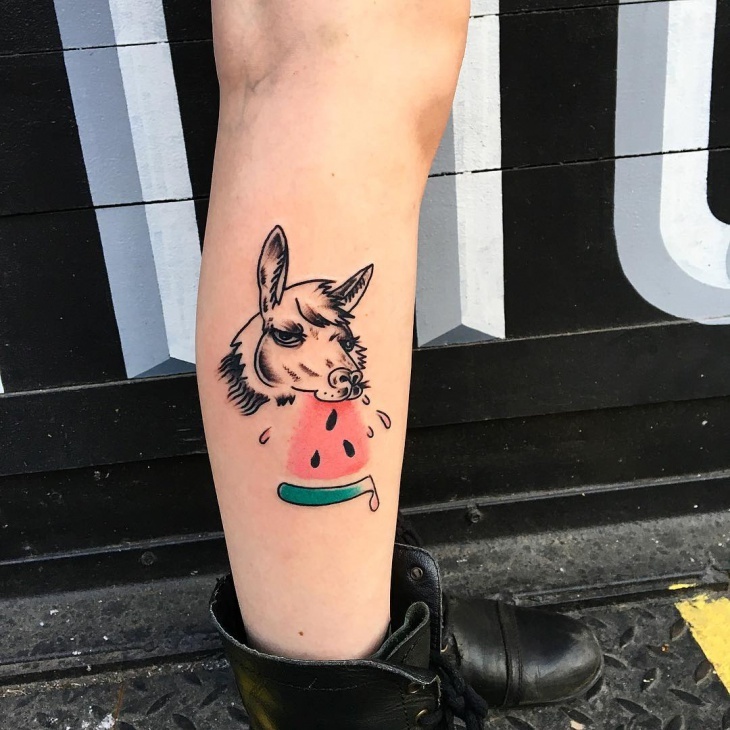 While a traditional watermelon tattoo is suitable for all genders, adding other features is what will bring out a masculine or feminine design. 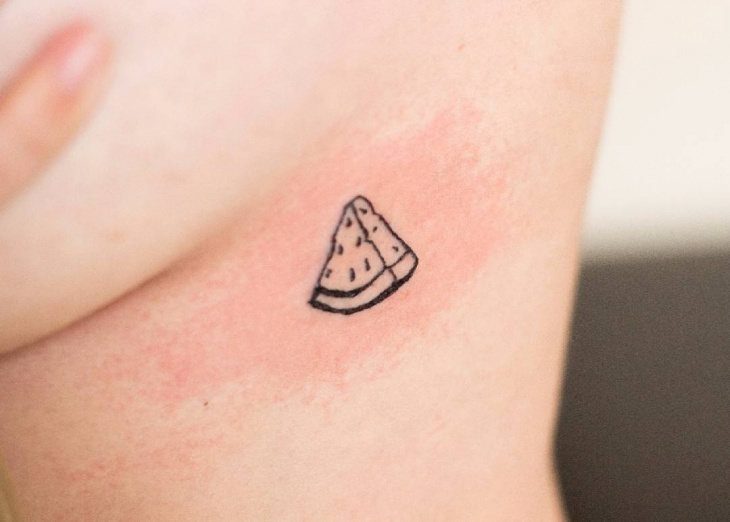 A black and white watermelon tattoo is perfect for those individuals who prefer a design that’s not loud. The small size, black and white color combination makes this tattoo simple but tasteful for both young and grownups. The green rind, red gradient and black seeds in a watermelon compliments all skin tones giving your legs that beautiful curvy feature. To make the tattoo more prominent add a yellow flower and match with a pair of gold sandals. 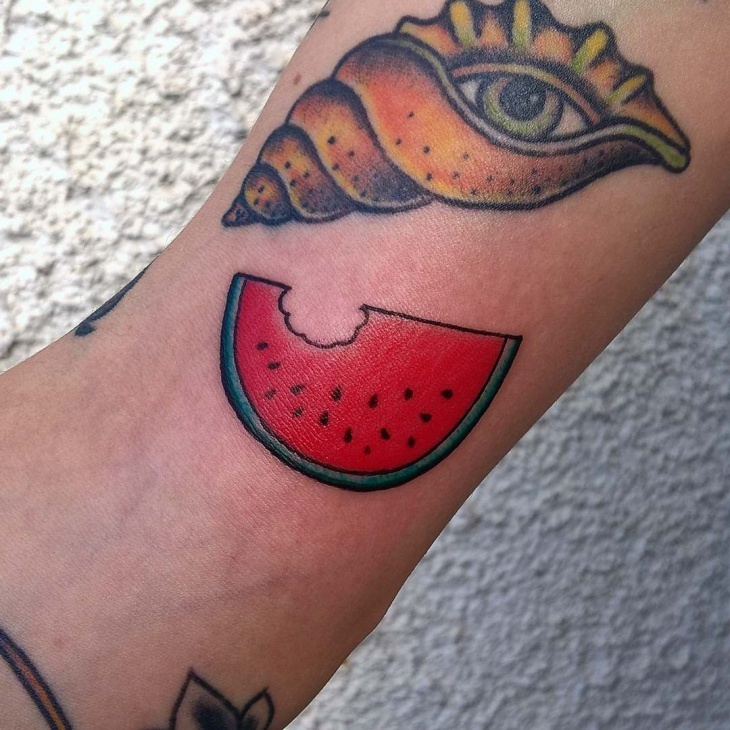 Opt for a juicy watermelon tattoo with asymmetrical patterns on your hand. 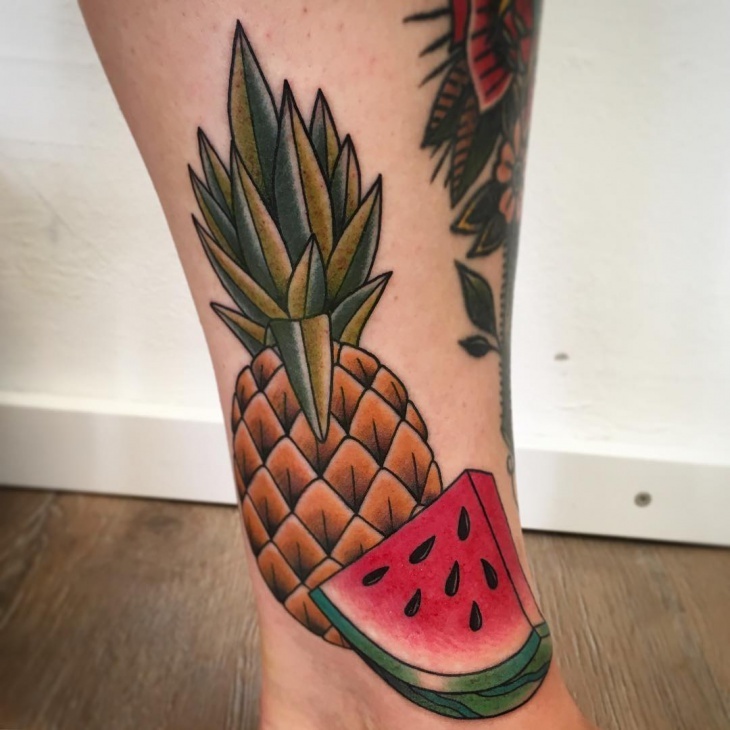 While the size of this tattoo depends entirely on you, the light shading tone on the fruit portrays a fun personality making this tattoo suitable for young people. 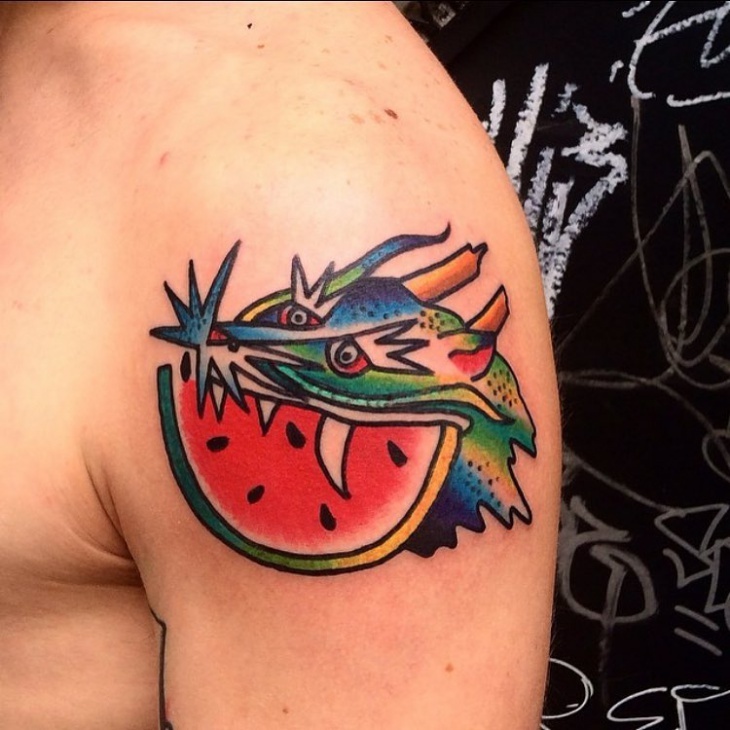 Guys, spice up the traditional watermelon slice tattoo by including a dragon head. 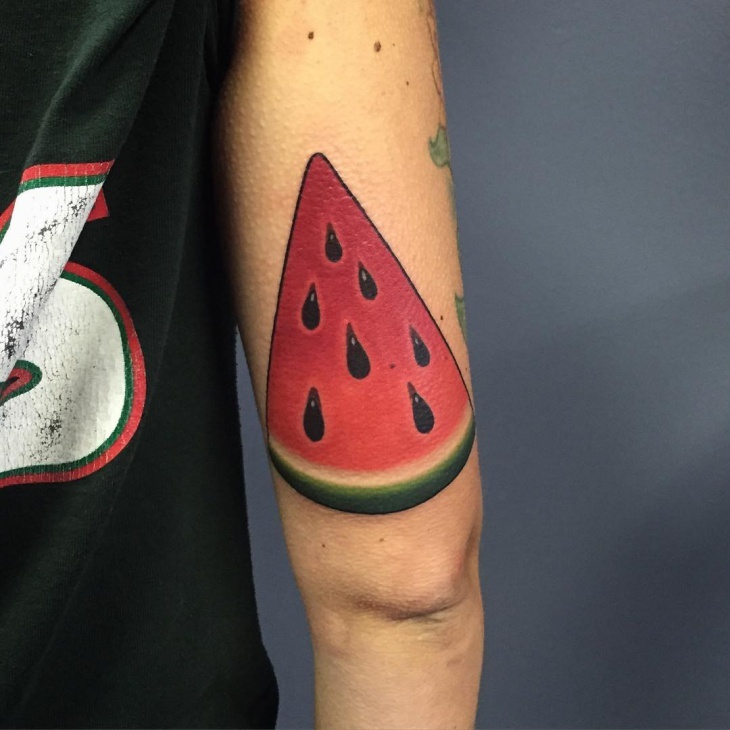 You can also make the design more visible by getting inked on the shoulder and giving the watermelon rind both a green and yellow color. 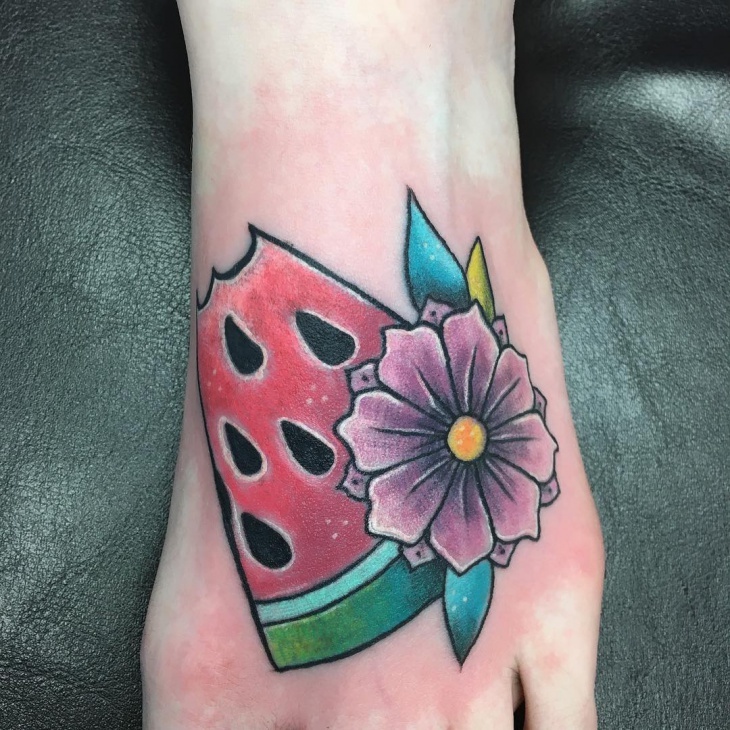 When it comes to how many colors you can use for a floral Watermelon tattoo design; the sky is the limit. The floral design and purple background color shade make this tattoo suitable for both young and mature women. 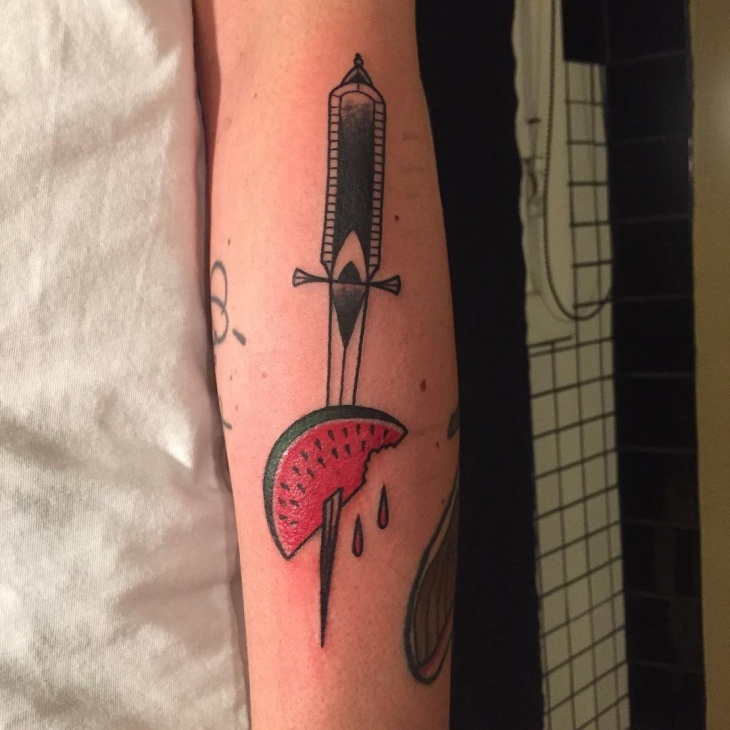 Men looking for a different but meaningful fruit tattoo will love the watermelon Dagger Tattoo. 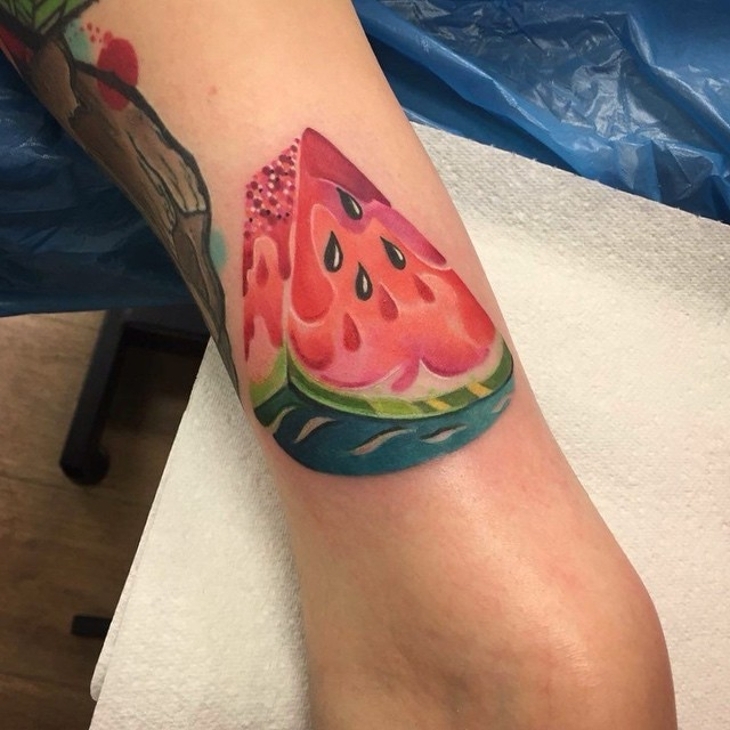 Adding a knife or a sword into the watermelon slice gives the tattoo a more masculine side but also portrays a fun personality. 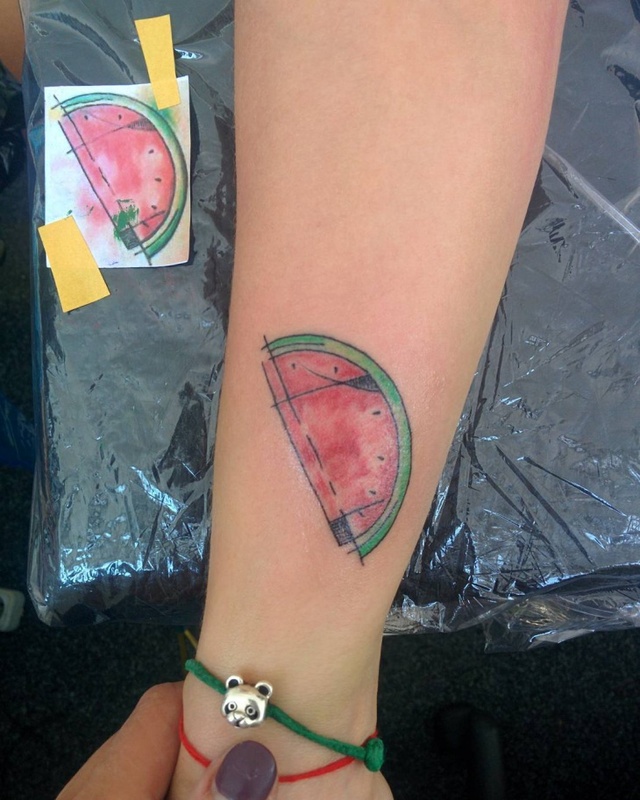 Combine your love for geometry and watermelons by getting a watermelon tattoo on your wrist. 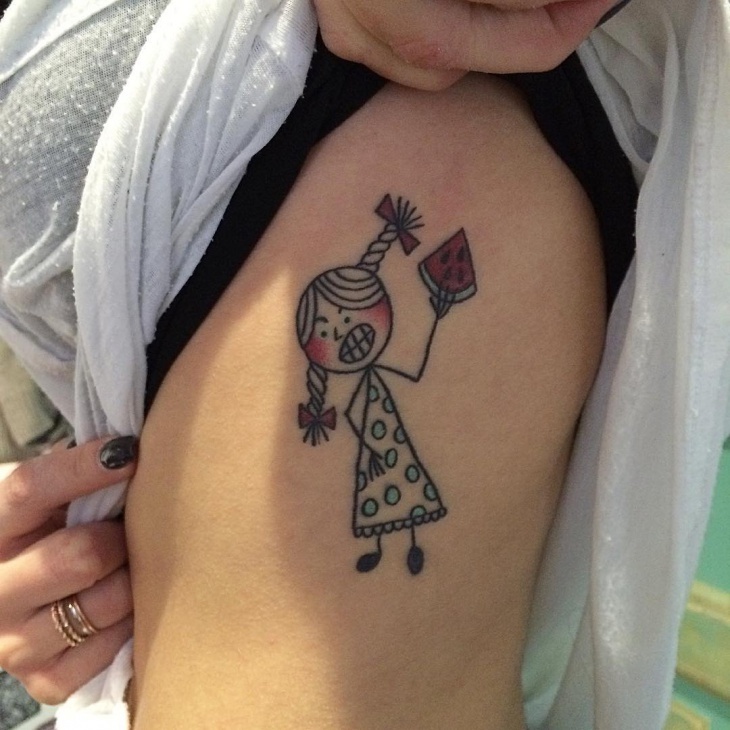 This design is great for people getting tattoos for the first time. 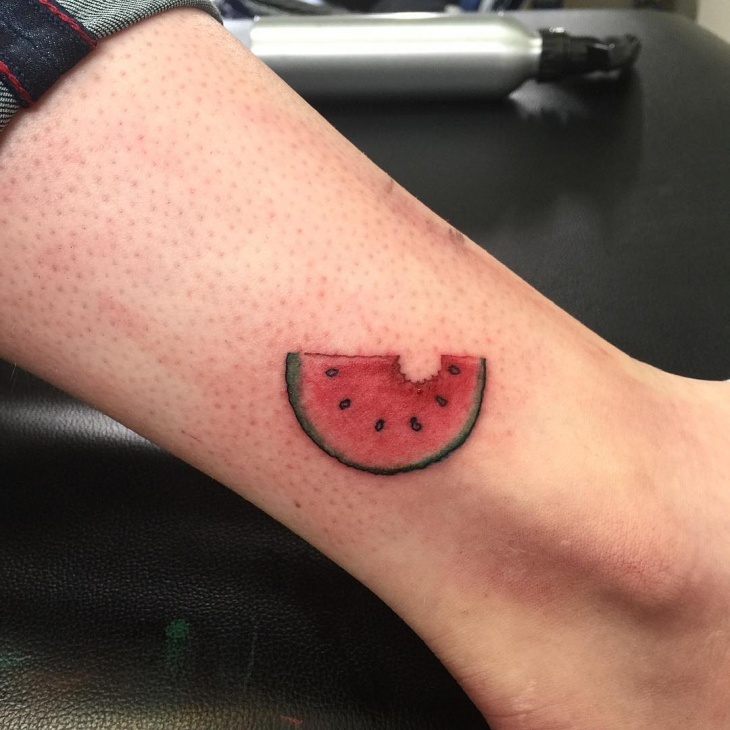 Creativity is crucial when it comes to watermelon designs. 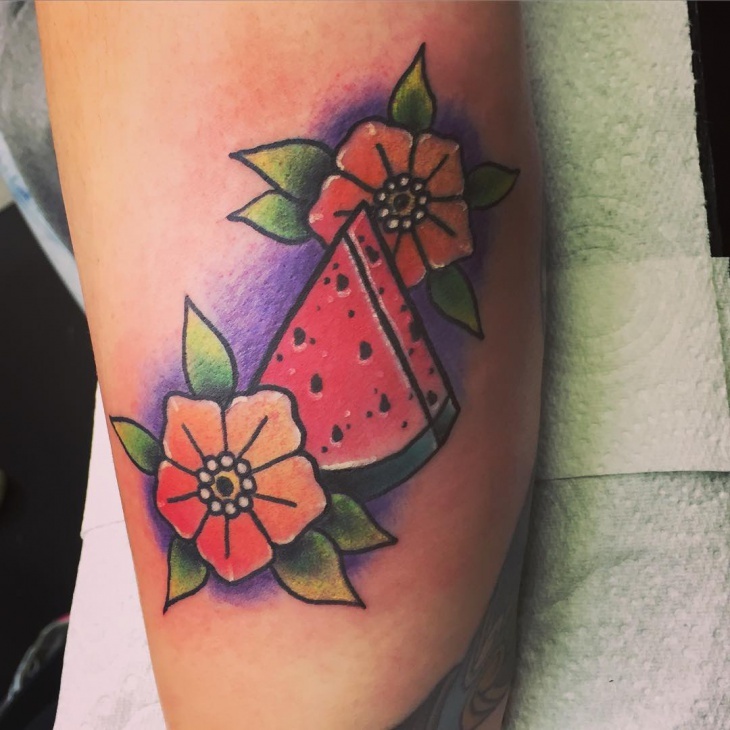 Go for a watermelon in a form of a Popsicle to portray your creativity and opt for a pink color shade instead of the red color to give the tattoo your personal touch. 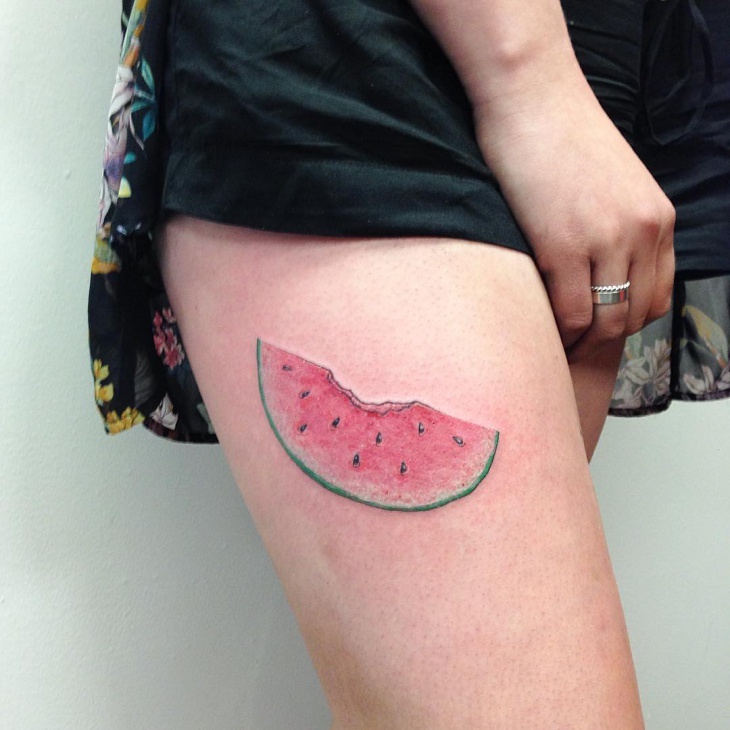 To enhance the beauty of your legs or to make your legs stand out, go for a juicy watermelon tattoo. Add some biting marks on the inked art to give it a cool meaning. Makeup is one of the easiest most affordable ways of hiding a tattoo. Using a brush apply a liquid or cream concealer to your tattoo, allow it to dry for a few seconds then add a foundation that matches your skin tone. Apply another coat of concealer and then seal with a hair spray. 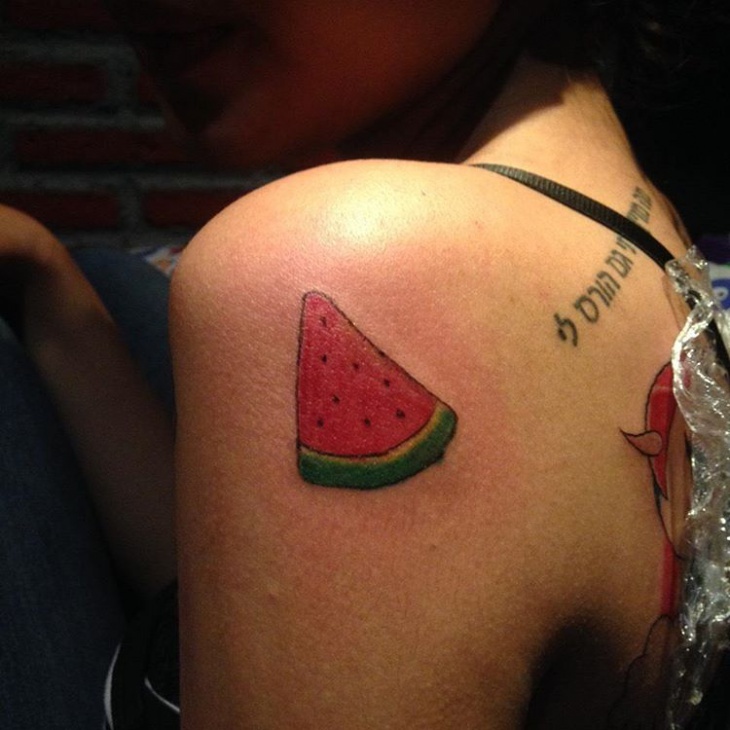 Just as a peach tattoo symbolizes immortality so does a juicy watermelon tattoo portrays a quenching thirst for life. 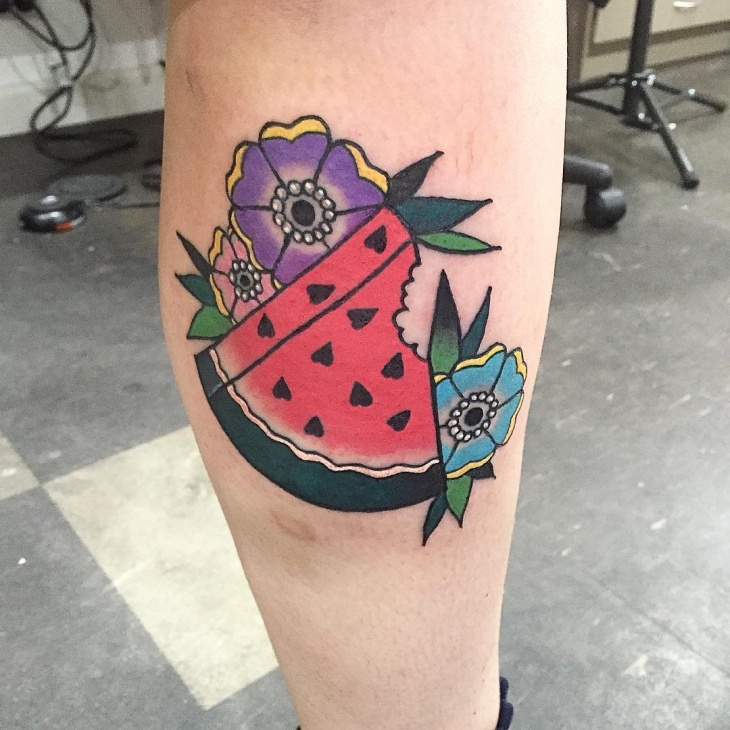 The bright colors of this fruit make this tattoo perfect for any age and gender. 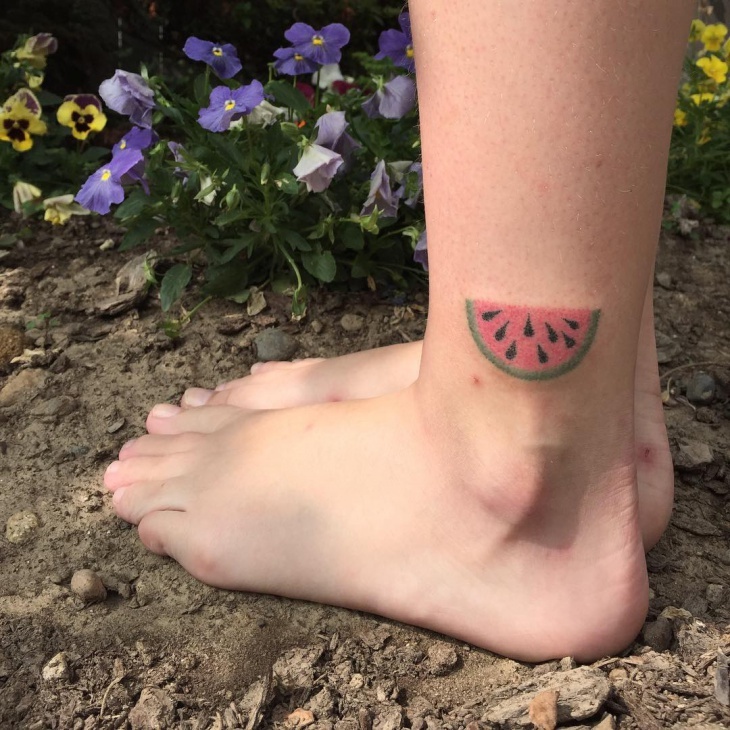 So, get yourself a watermelon tattoo design that portrays a meaning or symbol that is unique only to you.